This book is a highly accessible guide to being a (PM), particularly a project manager working within an IT field. The role is set out with reference to required skills, competencies and responsibilities. Tools, methods and techniques for project managers are covered, including Agile approaches; risk, issue and change management processes; best practices for managing stakeholders and financial management. Career progression opportunities for project managers are also discussed. Case studies are included throughout and tips and useful resources are included at the end of every chapter. It’s very rare in a subject as crowded as project management to find a book that feels immediately fresh and engaging. Elizabeth Harrin’s book is that rare thing. Read it and you will understand not only how to run a project but how to do so in a way that ensures your project will deliver for your organization and the people within it. 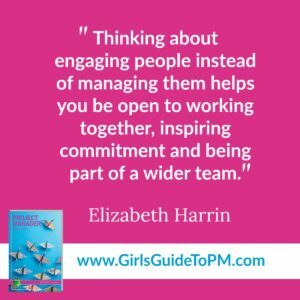 It’s a wonderfully crafted little book…Elizabeth Harrin has articulated the role, responsibilities, tasks, challenge and excitement of working in project management in a way that made me want to be able to restart my career all over again. ‘Project Manager’ is the perfect tasting menu for any would-be project manager in the IT sector. It’ll give you a flavour of the whole discipline, familiarising you with all the jargon, the principle methods, and the kind of career you can expect. Like any tasting menu, it leaves you wanting more of the best bits, and wondering ‘just how do they do that’. If you’re about to start a career in IT project management and don’t have someone to answer all your questions, here’s what you need. Ask Elizabeth and she’ll tell you the answers. A clear, comprehensive introduction to IT project management that will suit anyone starting out as an IT project manager, whilst being broad enough to have plenty of interest for the more experienced. way by doing, and this book is straight forward, easy to read and covers all the bases. Nice job, Elizabeth! 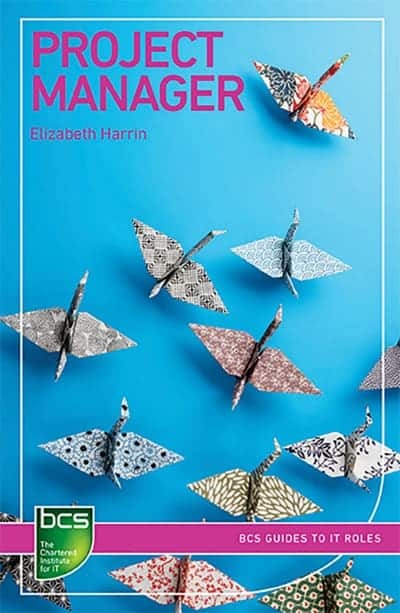 “Businesses never stand still,” Elizabeth Harrin writes in her new book, Project Manager. The simplicity of this premise belies the tremendous complexity of the breadth of disciplines that manage it. Ms. Harrin, however, is superbly up to the task of introducing the field of project management to both newcomers and project veterans alike. 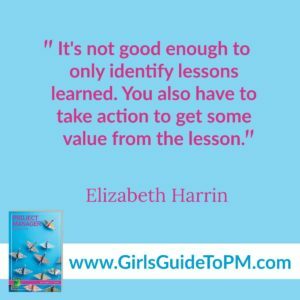 As a former PMO lead and PM instructor, I found Elizabeth’s work highly engaging. Not only does she present the foundational aspects of project organization in an accessible way, but she also offers a human angle that other texts sorely lack. I especially appreciate her stories and anecdotes about what it’s like to manage projects in the trenches. For those seeking to break into this exciting profession, Ms. Harrin’s in-depth coverage of techniques, roadmaps and resources make a wonderful launching-off point. Buy Project Manager today! 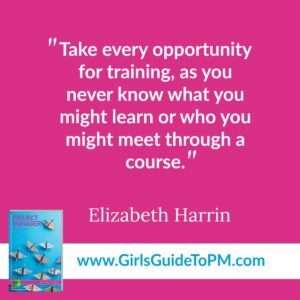 Elizabeth has another winner on her hands with her latest Project Management book “Project Manager – Careers in IT project management”. This is a must have for any new project managers wanting to learn about the role, understand best practices and get brought up to speed on all the latest tool, methodologies and industry terms. If you are new and starting out, this book is for you. What I loved the most about the book were the Anecdote, where Elizabeth brings in real people to talk about their particular experiences about the subject. I loved that because you hear real time from people directly working in the roles. Great book, and a must buy for every project manager! This is a great guide for anyone beginning their career in IT Project Management or wanting to move into the industry. Guidance on when to use agile methodologies and the importance of aligning IT projects to business strategy sit alongside a comprehensive overview of the role, responsibilities and tools of the Project Manager. The easy to read and well structured text is supported by useful tables, diagrams and recommendations for future reading while the glossary, list of abbreviations and overview of external accreditations will be particularly helpful for anyone wanting to keep up with the changing landscape of Project Management. 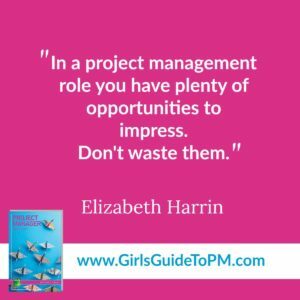 Elizabeth Harrin’s new book “Project Manager” is a valuable resource not only for anyone who wants to start a career as an Project Manager but also for established project managers wanting to refresh role. The guide provides relatable case studies giving a fresh perspective on different career options for IT Project Managers. The tools, methods and techniques are particularly helpful to new starters wanting to avoid potential pitfalls, including helpful tips on how to pronounce well-used acronyms and access to templates. Elizabeth’s’ natural and genuine writing feels more like peer advice received over a cup of coffee than a technical reference manual, and makes for an interesting read with plenty of good advice to consider. Elizabeth’s latest book is as practical and applicable as we’ve come to expect from this experienced author. This is great book for anyone who is interested in becoming an IT Project Manager. It starts with the basics all about what Project Management is, and what an IT Project Manager is. The chapter on the Role of the IT Project Manager is very good, and tells it how it is, using comments from real Project Managers and lots of Elizabeth’s own experience. I really enjoyed this section as its different from other books on the subject giving a real life view. There is just the right amount of tools, methods and techniques in Chapter 3 but to give the reader a flavour which is important. Chapter 4 is ideal as it focuses on Career Progression and Related Roles which gives a great overview of how an IT PM can progress and other roles that they could look to move to in the future. Elizabeth finishes with an overview of a day in her life as an PM which is great insight to the reader on what its really like, warts and all. As an accidental PM who knows that you can have a really good rewarding career in Project Management, I found this book ideal for anyone who has thought that Project Management may be the right path for them and would highly recommend it. Project Manager is available to buy on Amazon or from BCS, the Chartered Institute for IT, where members can get a discount.